With almost 500 different Italian restaurants in the city, Italian cuisine has become one of Berlin’s favourite international cuisines. 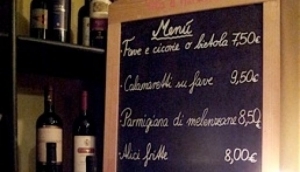 With Pizza and Pasta headlining the menus, they also offer delicacies in fish and meat dishes such as a classic Chicken parmigiana or Veal marsala, risottos and Minestrone soup. Plus they are most likely using mamma’s secret recipes so you get a real authentic Italian dining experience.